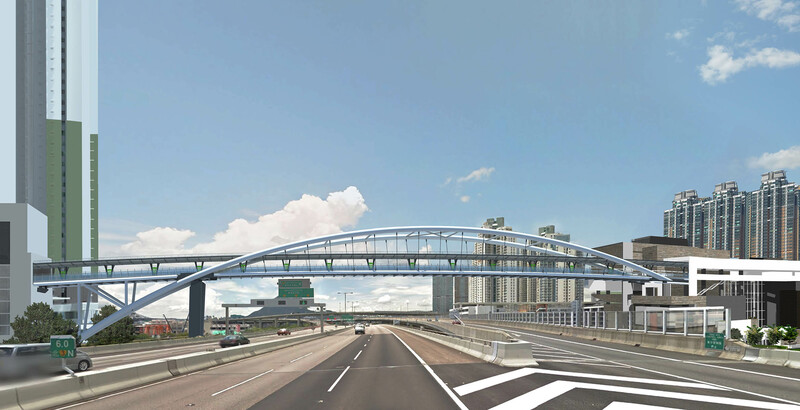 As part of a massive housing development which provides over 4,000 households of public rental housing, the proposed mega-sky walkway will help link developments at both sides of the West Kowloon Highway. The design philosophy behind this mega-structure is based on the fundamental principles of public place-making which put significant emphasis on the part of human sensory at a civic scale, regenerating a sense of tranquility and harmony for the users. 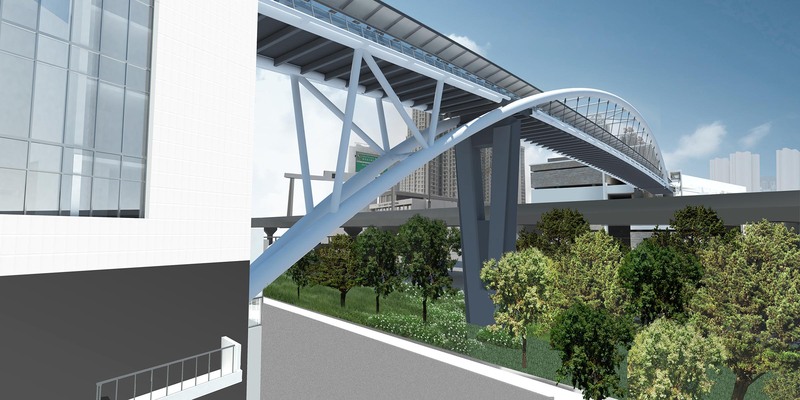 To cope with the over 100 meters span over one of the busiest highways in Hong Kong, the footbridge depicts a simple double-arch form to celebrate its structural elegance.